STV Inc solves large scale engineering challeges for both private & government entities. A website focused on capability, track-record & stability. 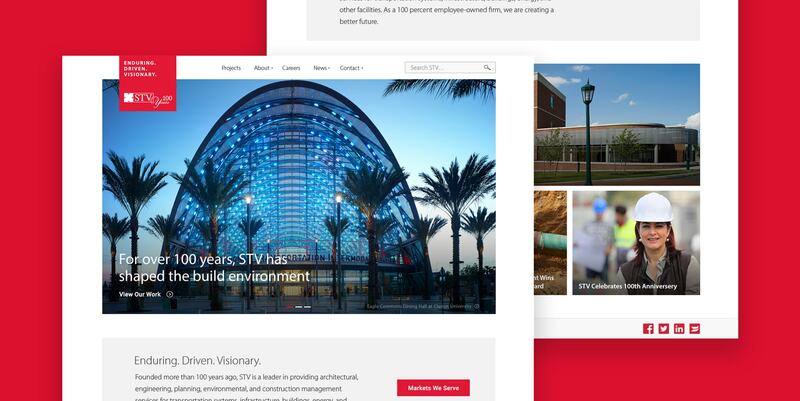 STV, an architectural and engineering firm based out of NYC, had a site over a decade old. 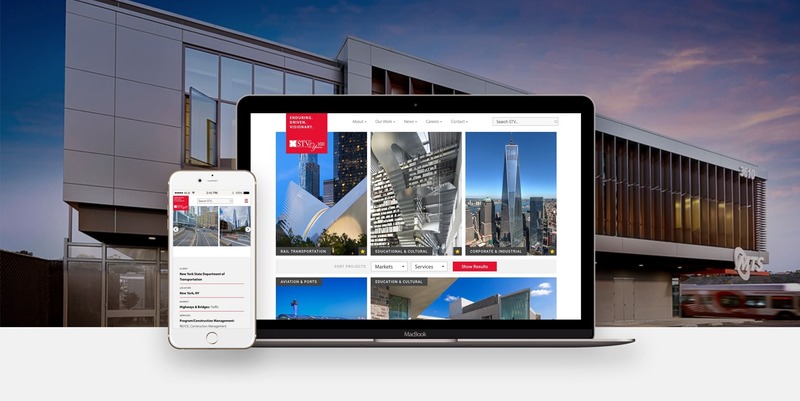 They approached us to refresh the visual design, information architecture, improve the user experience and content management system to showcase their robust portfolio. 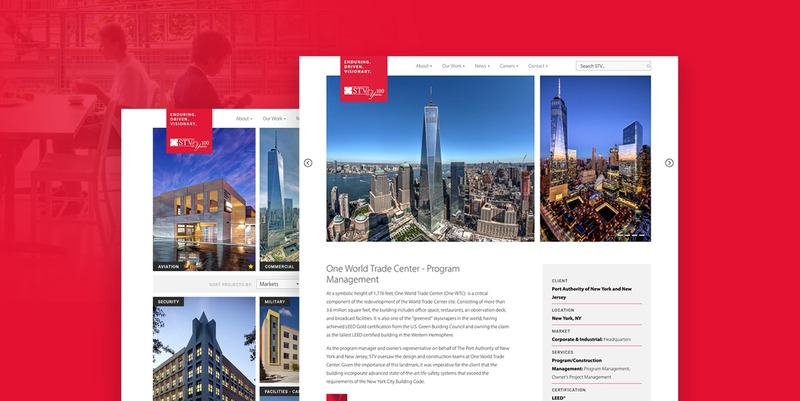 Built on Drupal 8, we designed a contemporary experience that reflects the level of expertise and prestige of the 100 year old company. With over 100 years in business STV had amassed a vast portfolio of projects across dozens of sectors – creating a consistent and effective way to experience this work was our highest priority. 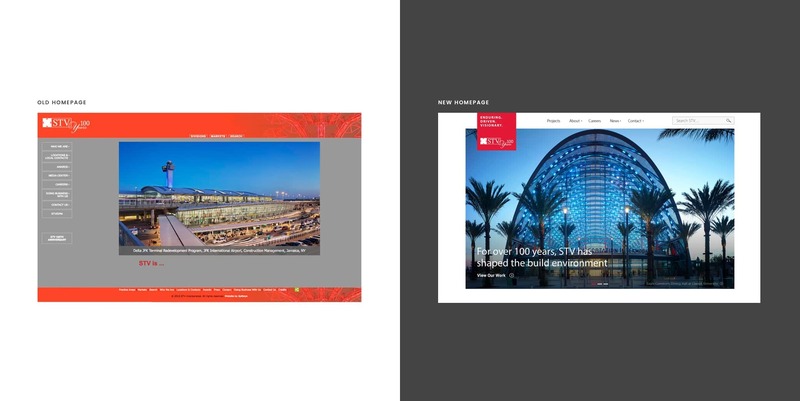 WHAT WE DID We designed the new website with longevity in mind, avoiding trendy design aesthetics that look dated in a year. We utilized clean typography, large photography and simple, reusable layouts to create lasting and flexible aesthetic.